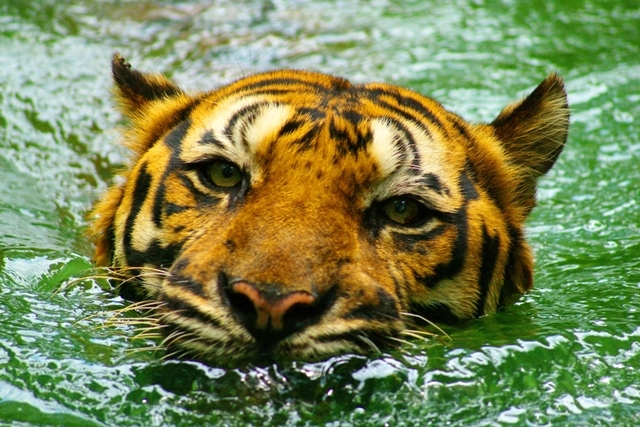 Introduction: About 13km northeast of Kuala Lumpur, Malaysiaâ€™s largest zoo, Zoo Negara (National Zoo) is laid out over 62ha around a central lake. The collection has a sampling of native Malaysian wildlife, as well as a wide range of animals from all over the world, a good aquatic display and an impressive reptile house. Among the more exotic exhibits are the Sumatran tiger, orang-utans, and gibbons (all are extremely rare outside of this part of the world). 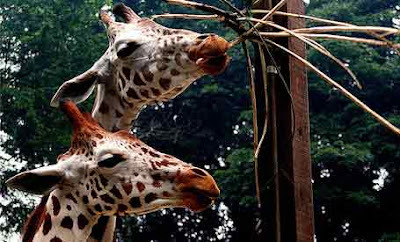 Besides showcasing the animals to the public, Zoo Negara also emphasize on Conservation, Education, Research and Recreation. Animal rides such as elephant, pony, camel and horse are available around lunchtime. There are frequent animal performances throughout the day (check schedule with the Zoo). The spacious picnic grounds in Zoo Negara around the boating lake are excellent for family recreation. For an opportunity to watch nocturnal animals, visit Zoo Negara on Saturday nights. Zoo Negara by Night is open on Saturday, Sunday and Malaysian Public Holidays from 9.00am â€“ 10.30pm. Hi, nice photos of the zoo. Think the prices for the ticket to enter the zoo has increased though.. check them out. Thanks Renee, the prices definitely changed – I updated them. thank…it soo cool.but if the day is my birthday..my family can enter free too?? hoping someone can help me…..